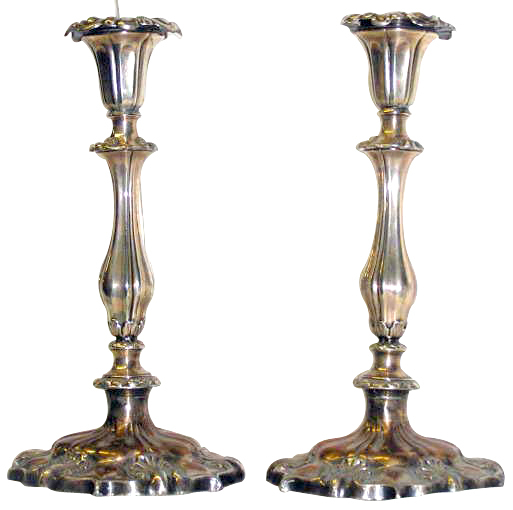 Much like gold plate, silver plate fulfilled a much needed role in bringing silver pieces to a greater audience. 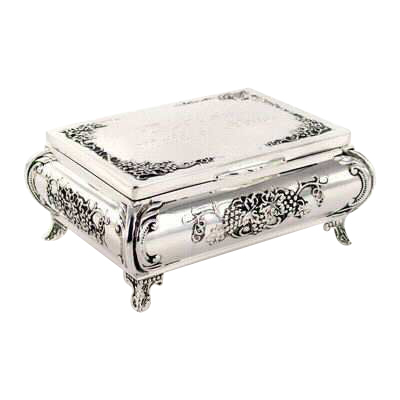 A silver plated jewelry box. The term “silver plate” has more than one meaning. In the 17th and 18th centuries, it was used as a general term for objects made of silver or gold. It described articles made for household or religious purposes, hollowware and flatware. For many, this is the proper use of the term. For present purposes however, “silver plate” describes objects that have a fine surface layer of silver deposited by either mechanical means or electrolysis. 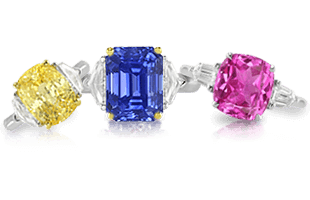 Like gold plate, silver plate was developed because solid silver jewelry and tableware were too expensive for the aspiring middle class of the 18th century. Thomas Boulsover, the inventor of Sheffield plate. In 1742, Thomas Boulsover, a British cutler from Sheffield, discovered a method in which a sheet of copper could be sandwiched between thin sheets of sterling silver and fused. The metal sandwich, called Sheffield plate, could then be worked into buttons, spoons, candlesticks, tea and coffee services, and tankards at a cost that was significantly less than solid silver pieces. 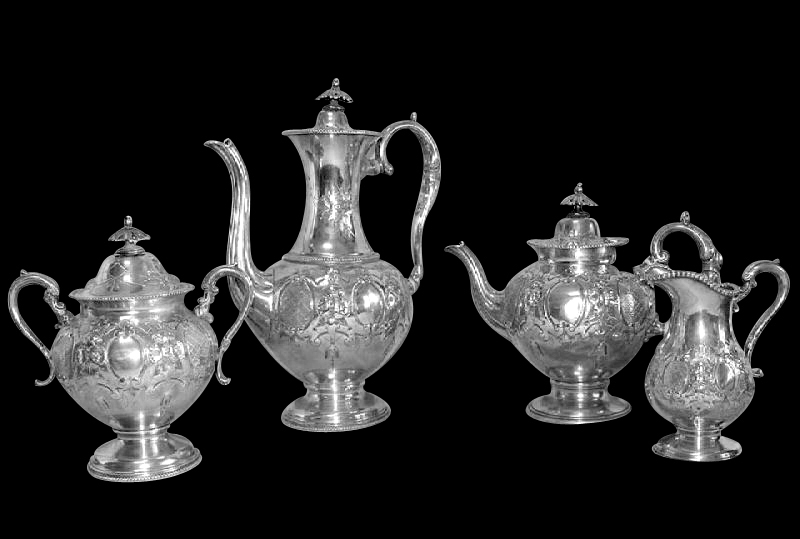 These early silver plated objects followed contemporary designs and were of the highest quality, and Sheffield plate became a commercial success. In the 1830s, nickel silver replaced copper as the base-metal middle layer. Because German silver , or nickel silver, also has a silvery color, it made surface wear less apparent. A pair of valuable Sheffield plate candlesticks. Sheffield plate was eclipsed by electroplate when it was developed in the 1840s. Electroplating is a chemical process where an extremely thin layer of silver, sometimes as little as one micron or a thousandth of a millimeter thick, is deposited on the surface of base metal . Because so little silver is used in the process, the price of silver plated articles fell even further, making it possible for many more families to afford to buy silver plated tableware and cutlery. A Sheffield plated tea set. Electroplate tends to have a shinier surface than Sheffield plate because it is produced with pure silver as opposed to sterling silver. However, this also makes the surface less hard than that of Sheffield plate. Sheffield plate continued to be used for another century after the introduction of electroplate on objects subject to heavy wear including buttons, carriage lamps, and tankards. Although it was a substitute for real silver, today Sheffield plate has a considerable antique value. 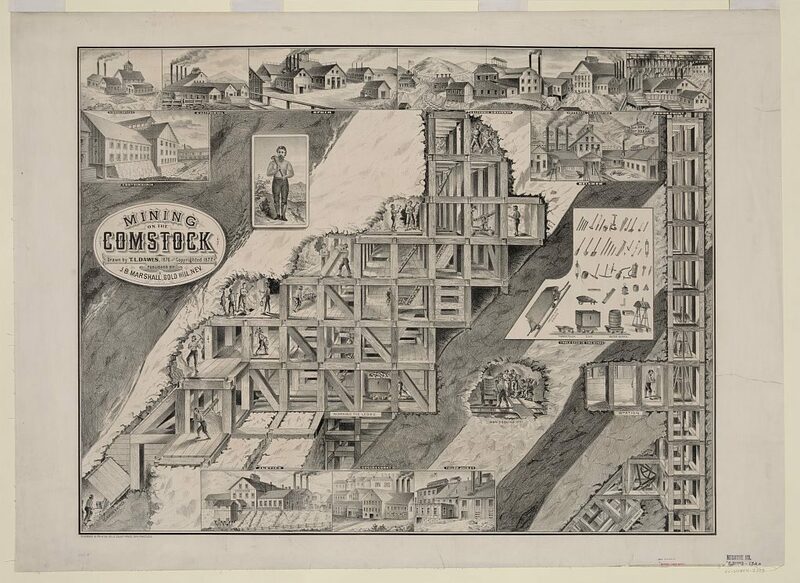 Collectors should be wary however; many of the old designs have been reproduced with electroplate. 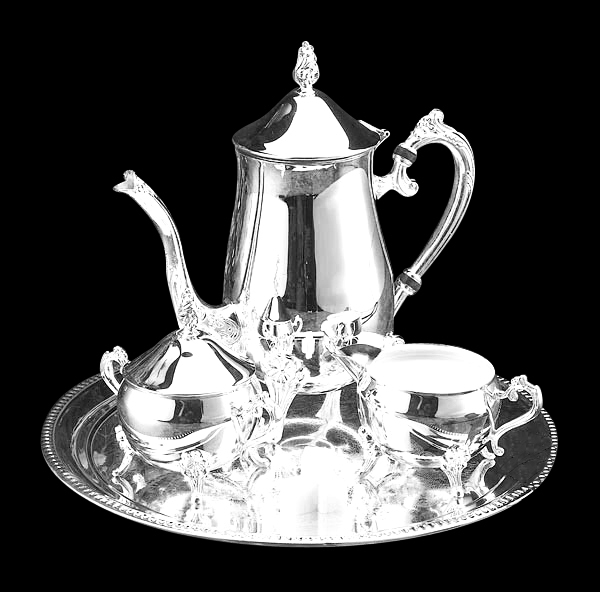 A silver plated tea set. Although it takes a trained eye, it is possible to distinguish the difference between the two. Authentic Sheffield plate will show signs that it was soldered together from pre-plated metal pieces. The appearance of soldered joints is a clue, as they were often well disguised by the expert silversmiths of the period. Modern electroplated pieces are often marked EPNS, for electroplated nickel silver. A silver plated item cannot be called “sterling” or have the “silver” hallmark. 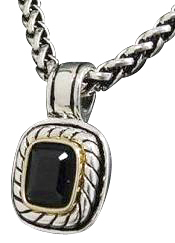 A modern silver plated pendant. 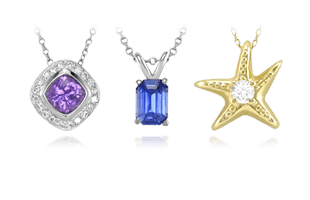 Occasionally, jewelry items are silver filled. This means that silver of at least 92.5 percent fineness is applied by mechanical means to an object. 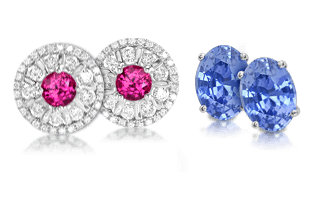 As with gold filled objects, the plating must make up at least 1/20th of the metal of the object. Silver filled items can also be called silver overlay, but they are never called silver plate, for this term is reserved for electroplated materials. 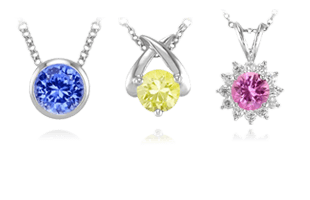 Sterling silver pieces can be gold plated, a process referred to as vermeil. Unlike gold leaf, silver leaf is too fragile to be applied to wood or a base metal, although it has been used to back gemstones such as garnets. Next, learn about Silver Rushes | Precious Metals in History.